Reading the Bible is more than just entertainment or busy work. It is the way that God speaks to us and guides us in how we should act, think, and live. When we take time to read God’s word, He will often bring to our attention things that we need to change. And sometimes those changes affect the world. As I was reading the Bible with Ginny, Luke’s girlfriend, last night we were both hit between the eyes with today’s verse. In this passage Paul was urging his dear friend, Timothy, to make it a habit to pray for those who were in positions of authority. Ginny and I both looked at each other with big eyes as we realized we had not been as faithful to do this important directive. Especially in light of upcoming elections it is imperative that we speak to God on a regular basis about those who will be leading our country and making important decisions that will affect our lives greatly. 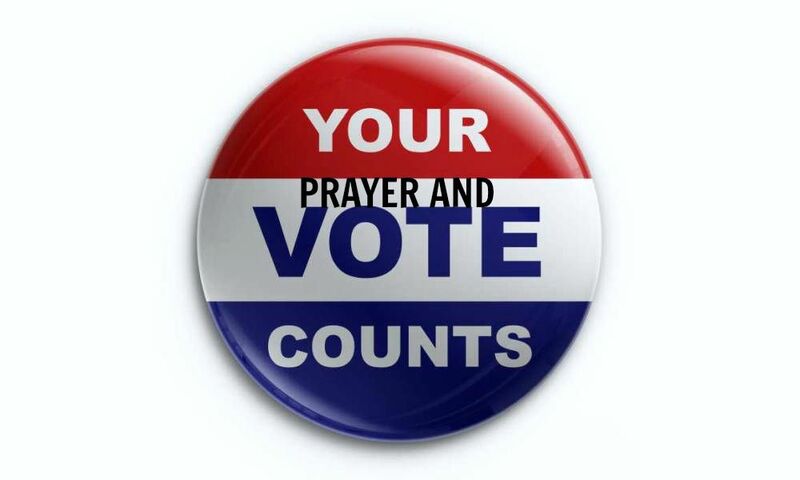 Though we may not agree with what all the candidates stand for, they are still loved by God. He wants everyone of them to come to know Him personally and come to a knowledge of the truth. If this happens we all will be able to live peaceful and quiet lives marked by godliness and holiness. Knowing that God wants us to be doers of His word and not hearers only, we both agreed to start a list of names. By committing to bring these men and women before God in prayer we are being obedient, and who knows what difference our prayers will make in the future of these leaders? What about you? Is this something you need to change? Commit with Ginny and me to making a list of leaders and praying for them faithfully. You never know, our prayers may just change the world!